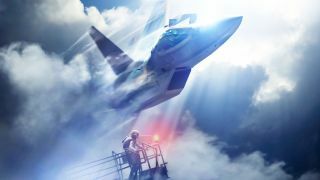 It’s been quite some time since Ace Combat 7: Skies Unknown was first announced all the way back at PlayStation Experience in 2015, but the flight action sequel is nearly upon us, with a release scheduled for first thing next year. Developed and published by Bandai Namco, the latest trailer for Ace Combat 7 is a strong showcase for the series’ wheelhouse of photorealistic visuals, tightly choreographed gameplay, and buckets of cool fighter jets. You can watch the entire video below, which just debuted at the Golden Joystick Awards at the London Bloomsbury Big Top earlier this evening. As the trailer demonstrates in its final moments, Ace Combat 7: Skies Unknown will feature a series of missions tailored specifically for PlayStation VR which, frankly, is all the justification I need to pick up a PS VR headset in the Black Friday sales. As the first in the series to use the Unreal Engine 4, this entry in Bandai Namco’s long running flight sim franchise is also positively stunning, with dynamic weather effects and far-ranging vistas that could easily distract you from all the explosions and gunfire going on in the foreground. Ace Combat 7: Skies Unknown will launch on PS4 and Xbox One on January 19 next year, with a PC release scheduled for the following month, on February 1. As for the Golden Joystick Awards, you can watch along with the entire ceremony right now, live on Twitch, or keep an eye out on GamesRadar for all the latest coverage.